Morocco’s industry minister visited Agadir on Wednesday, supervising the ongoing industrial projects in the Souss-Massa region. 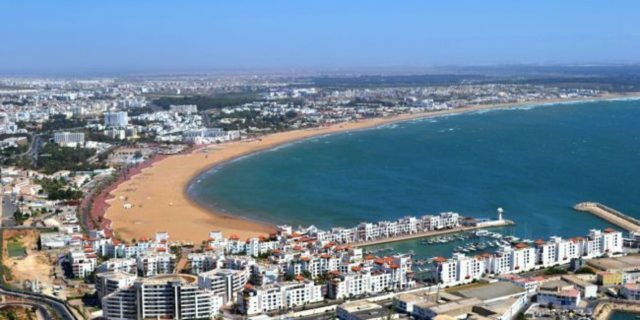 Rabat – After touring the sites of the region’s many megaprojects in Agadir and its surroundings, Minister Moulay Hafid Elalamy said he was satisfied at the projects’ pace of development. According to the minister, the successful—and timely—completion of the Souss-Massa projects is part of Morocco’s 2014-2020 Industrial Acceleration Plan. Launched in January 2018 under the auspices of King Mohammed VI, the industrial revival of the Souss-Massa region aims to modernize the region’s outputs, creating job opportunities for its young people. Investing in human resources in areas as diverse as automobile manufacturing, aviation, construction, printing, and technology, the plan’s long-term aspiration is to establish Morocco as a global industrial hub. After a meeting with the wali (governor) of the Souss-Massa region and other regional authorities, Elalamy stressed the importance of the region’s industrial development for the country’s economic prospects. The minister suggested that the “economic transformations” recently witnessed in the Souss-Massa region indicate the region’s importance for the whole country’s economic aspirations. He explained, “The project will reinforce the region’s reputation as an industrial platform, making it an industrial hub for employment opportunities for young people.” The minister added that after completing the projects, the region will be an integral part of Morocco’s shift towards inclusive growth. In addition to the initial 11 projects which included manufacturing construction materials, plastics processing, paper production, and high-tech plants, the region is set to host an industrial duty-free zone. The project is reported to have already attracted tenders with world renowned expertise. The objective, according to Elalamy, is to establish the region as a continental hub for industrial investments. The industrial duty-free-zone will be operational by the first half of 2019, according to official documents. The figure is just half of the overall prospect after the projects’ full completion. In the framework of the Industrial Acceleration Plan, Morocco hopes to create as many as 24,000 jobs in the Souss-Massa region alone. The Moroccan government’s ambitions for the ongoing projects mirror Moroccan authorities’ increasingly bold insistence on the need for an industrial revolution to propel Morocco among world leaders in technological advances. The automotive, aeronautic, Artificial Intelligence (AI), and energy sectors have recently been the focus of a number of public statements by Moroccan officials. 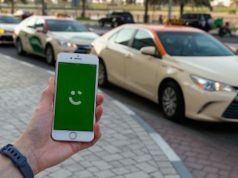 They have steadily maintained the necessity to be participants, rather than consumers or spectators, in the fast-moving and digitized global economy.